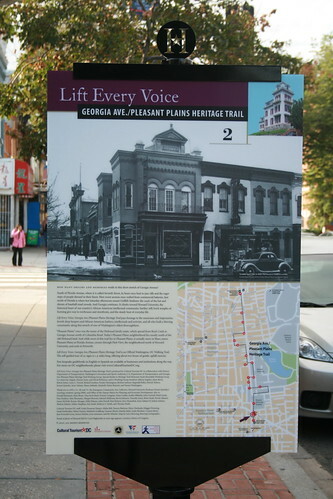 Cultural Tourism DC is finishing the installation of the signs for the Georgia Ave./Pleasant Plains Heritage Trail. Here is one we spotted outside the Dunbar Theater (now Wells Fargo bank) at 7th and T Streets NW. The trail opening event will be on Saturday, October 15 at 11 am at the plaza in front of Howard University Hospital. Work on the heritage trail for LeDroit Park and Bloomingdale has progressed greatly and we are on our way to having our own trail to honor LeDroit Park’s rich history.